How can an EPOS system help take your business to the next level? If you’ve bought something from a shop in the last 20 years, then chances are you’ve come into contact with an EPOS (Electronic Point of Sale) system. They’re now commonplace in businesses all over the world, from Tipperary to Timbuktu, and have replaced traditional till systems as a way to process transactions and secure cash. EPOS benefits for your business go beyond just improving the way you take payments. 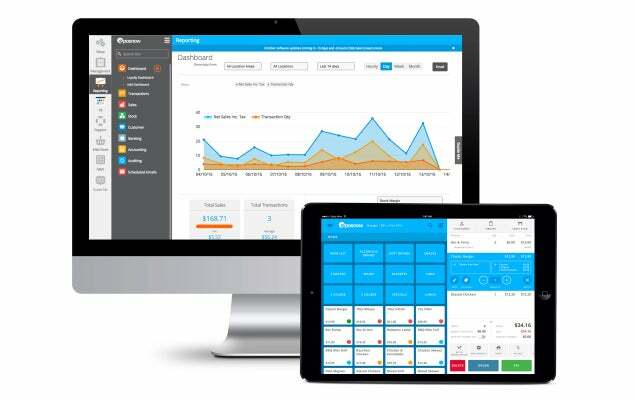 EPOS systems are becoming more simple and more dynamic; some even let you use your own iPad as the central component. They aren’t the unaffordable luxuries they used to be, with some stripped-back EPOS software coming at no cost at all. So what’s stopping you? Watch our video or read on for the biggest benefits. Or if you’re short on time and already sold on an EPOS system, start comparing quotes from Expert Market approved suppliers now. We’re all human and we’ve all messed up at some point. But as a business owner, mistakes can cost you money. In the past, something as simple as a miscommunication regarding pricing could gift one happy customer the deal of the century and leave you out of pocket. No longer so. An EPOS system minimises the risk of human error. You can log products and easily navigate to them via category folders. And you can apply specific product discounts and bundle promotions centrally using your EPOS system’s back office software. Which means you can apply consistent pricing across multiple payment terminal, for all your staff. EPOS systems allow for multiple user logins, at no extra cost. You’ve probably seen bar staff pull a little magnet from their waistband on a retractable cord and tag it onto the till as they serve you. That’s telling the EPOS system who to attribute the transaction to. At the end of the day (or even the hour, if you want to get granular about it) the system will then be able to produce a report showing all the transactions carried out by that staff member. Why has Daniel only served four people when Penny was able to serve 10 in the same amount of time? What was Adam doing between 10:15 and 10:40? Because he certainly wasn’t serving customers. Ultimately, an EPOS system helps you to get the most out of your workforce – but not just by highlighting under-performance. Companies such as Costco have seen an upturn in productivity by ranking employees on a leaderboard and rewarding top-performers. Create a competitive environment where your employees can use healthy competition to propel each other on to bigger and better things. In the age of internet shopping, customers are becoming increasingly disloyal. They don’t like arriving in-store to find the item they were viewing online is out of stock, and they don’t like having to wait in line. An EPOS system helps to relieve these common pain points for businesses. The right system integrates with your ecommerce platform to provide a consistent omnichannel shopping experience. So when you sell something in-store, your stock level immediately updates online. Clever automated functions save staff valuable time – time that could be better spent attending to customers. Consider how long it takes a waiter to walk a written order to the kitchen. 30 seconds? A minute? It might not seem like a lot, but multiply that up over weeks and years and the time wasted becomes huge. An EPOS system allows you to relay orders direct from the customer’s table to the restaurant or bar. With a tablet EPOS system, staff aren’t tied to the counter. Wireless devices free them up to provide a more engaging shopping experience for the customer. Not only does this help to reduce queue time at checkouts during busy periods, it gives your talented sales staff the opportunity to convert browsing customers into hard sales. Want to start benefiting from an EPOS system? An EPOS system will help you to maximise profit and efficiency by providing easy-to-digest reports on everything from sales to stock levels. Effective inventory management is the foundation of good business. Back office functions allow you to automate the system to immediately order more of a certain product once stock levels drop below a certain threshold. Detailed analytics allow you to identify which products are selling well, and let you look at metrics such as footfall to better allocate resources. So rather than have a full complement of staff on shift all day Saturday, just bring in a couple of extra pairs of hands from 6pm until close. Gone are the days when business-critical decisions were taken by ageing men sat around a boardroom table, stroking their beards and listening to their guts. Reporting empowers a new generation of business owners to make informed decisions grounded in data. An EPOS system allows you to capture customer details at the point of sale and build a valuable database of email addresses and phone numbers. This information can then be fed into your marketing platform and used to provide notification of upcoming offers and events. Built-in loyalty schemes also let you reward those precious returning customers. With an EPOS system you can tailor your marketing strategy to only target customers with information relevant to what they’ve purchased. 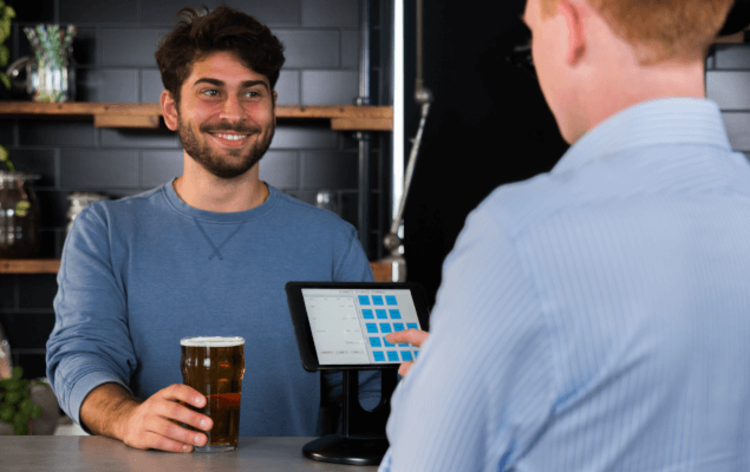 In truth, the only drawback to an EPOS system over a traditional till system is the cost – and in particular the the up-front cost, which can be especially off-putting for smaller businesses. Prices for a basic system start at around £1,000. An industry-specific system, with extensive back office features, comes in closer to £1,500. For an advanced system with multiple terminals, it’s not uncommon to pay in excess of £3,000. This is a lot of money for any business to pay out, but there are ways around it. Most suppliers have an option to rent an EPOS system, or pay it offer over a number of months. Prices start from as little as £24.99 a month. Bargain. In order to fully appreciate the benefits of an EPOS system, you should consider the following before buying. What is the right EPOS system for my business? It’s easy to view EPOS as some kind of magic wand that, once installed, will transform the fortunes of your business overnight. But whilst the benefits are real, it’s important not to get carried away and invest in an unnecessarily advanced system. Take a moment to consider your requirements. The size and nature of your business, as well as the number of terminals you require to effectively process transactions will all have a bearing on what is the right system for your business. If you’re running a bar or restaurant, your ideal EPOS system will be different from one more suitable for a newsagents. And if you operate a takeaway, you’ll need to take away another EPOS solution entirely. It goes without saying that in order to get the most out of your system you need to know exactly how EPOS works. ▶ Read more: How do EPOS systems work? Basic systems start at around £1,000. These include a cash drawer, receipt printer, a card machine and a user interface. More complete, industry-specific models come at the £1,500 mark. And you can expect to pay £3,000+ for an advanced system with multiple terminals. ▶ Read more: How much does an EPOS system cost? Software starts at around £300 to buy outright, or £20 per month as a subscription. If you only require the most basic functionality, then it is possible to find free EPOS software that will get you up and running allow you to make transactions. If minimising cost is your main concern then it’s worth considering investing in a second hand system. Beware though, this kind of saving can prove a false economy, where the limitation of a basic system far outweighs the benefits of money saved. Make sure you know exactly what functionality you require and you buy from a reputable second-hand supplier. If you’re interested in buying an EPOS system, simply fill in this form and receive quotes up to four suppliers. Their product experts will be able walk you through the advantages of their various systems and help you choose the one that your business will benefit from most. It’s completely free, there are no hidden charges, and there’s no obligation to buy. What EPOS Hardware do I Need for My Business? What Is An EPOS Merchant Account? What is EPOS and how does it work?